Light bulbs in a compact format with maximal power! AwoX (Euronext – FR0011800218 – AWOX), a smart thing & tech company specialized in Smart Home technology, has completed its range of LED connected MESH lighting with the recent release of two new models of compact light bulbs – GU10 & E14 – both built with powerful lighting unheard of for this type of compact lighting (2 years of R&D). These latest additions find their place alongside the models MESH E27 and MESH C13 Globe, already available, and offer users the possibility to simply complete, based on their existing light fixtures, a lighting installation that includes up to 50 LED light bulbs that can all be controlled at the same time. Powerful light bulbs that adjust perfectly to fit your needs! 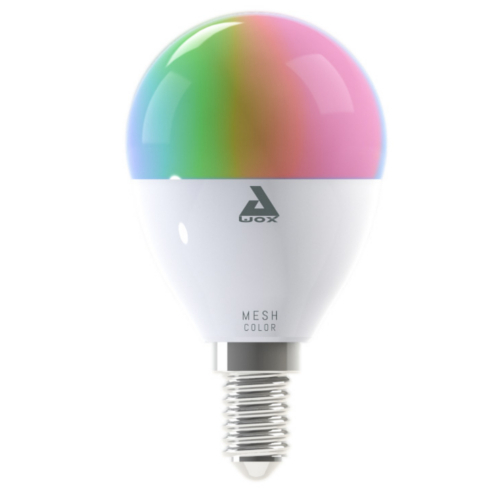 These two new energy-efficient LED light bulbs, SmartLIGHT MESH GU10 & E14 with both color & white light, benefit from powerful lighting respectively at 300 lm and 400 lm, to light up different rooms at home (kitchen, living room, bedroom…) with an excellent amount of brightness and a very large selection of colors. Capable of adapting to different lighting needs for each user, SmartLIGHT light bulbs can be controlled with a smartphone and/or tablet in order to set the perfect mood lighting from a selection of over 16 million colors. First commercialized by AwoX, this technology makes it possible to control in almost real-time – all light bulbs in a house – from any room, at the same time, with different users within a same household through a secure connection (automatic and transparent password protection for all members of the family). It is also possible to create groups containing up to 50 light bulbs in order to have 100% connected lighting with SmartLIGHT MESH at home in all formats of light fixtures: GU10 spot lighting, E14, E27 and E27 Globe. Triple remote control for maximum comfort! 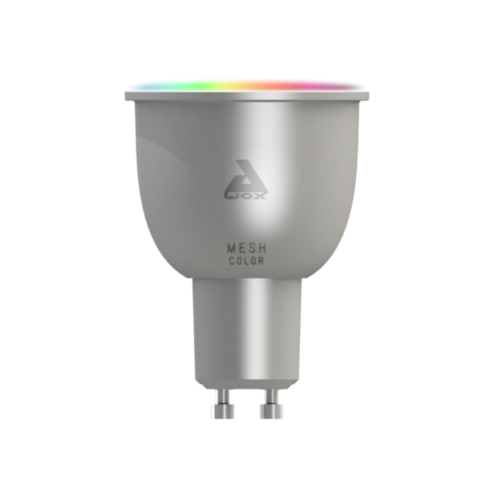 All SmartLIGHT MESH light bulbs can be controlled with the SmartCONTROL app via a smartphone or a tablet, an AwoX connected light switch – SmartPEBBLE – or simply with the MESH remote control included in certain packs of MSEH light bulbs. Very useful, the MESH remote control can easily control all MESH connected lighting (brightness settings, color, tone of white, apply favorite settings, lighting effects and even automatic set up) and helps users avoid having to systematically connect their smartphones to their lights off & on. AwoX unveils the first ever connected lightbulbs featuring MESH Technology at IFA 2016!